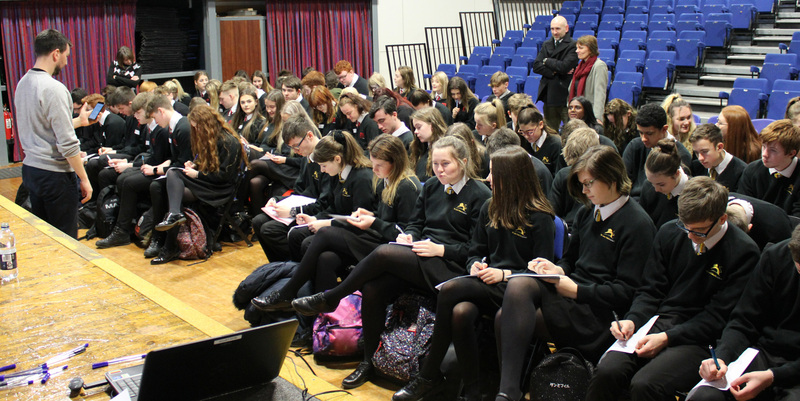 On Thursday 17th January, Year 11 students from The Marches School and Sir John Talbot’s School took part in a Countdown to Success Day in preparation for their GCSE exams in the summer. The Marches Academy Trust students took part in a number of workshops including ‘Resilience and Stress Management’, ‘Get Revising’ and a workshop hosted by Karim Al-Abbas from Enlighten Education. Karim shared ways to improve learning and memory skills which will lead to increased self-confidence and self-esteem. Students that have worked with Karim in previous years have been empowered to start using the techniques immediately and take ownership of the way they learn.